If you’ve constructing an eCommerce site with WordPress, chances are you’ve gone with, or at least tried, WooCommerce. The popular eCommerce plugin is available for free and it turns any current WordPress site into a fully functional online store. Not only can you upload your products and start collecting payments, but quite a few other options are available through WooCommerce plugins. For example, you may want to bring in money with memberships or subscriptions. 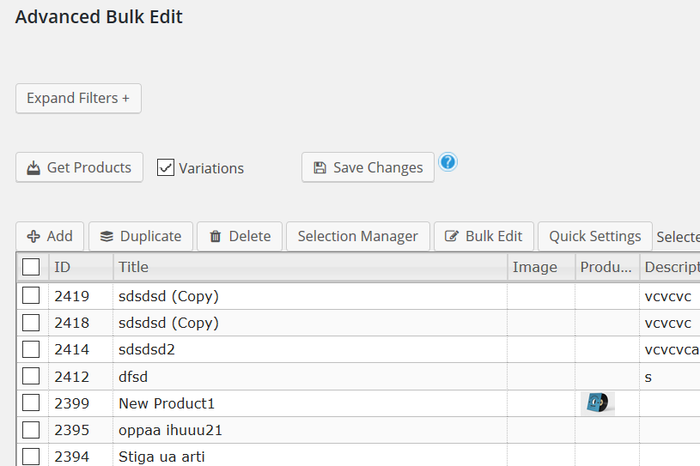 You might also require a way to bulk edit all of your products. The good news is that you can find several WooCommerce plugins for all of your needs. And that’s the glory of WooCommerce and WordPress: If you find a feature that’s missing, just go out and search for a plugin that gives you what you need. Keep in mind that some of the solutions provided below are considered WooCommerce extensions. In fact, WooCommerce calls some of them extensions on its own website. However, both plugins and extensions pretty much function in the same ways, allowing us to talk about both in this article. So, keep reading to learn more about the best WooCommerce plugins on the market. 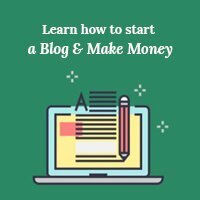 I’ll be sure to cover plugins that help out with varying aspects of your store, from shipping to subscriptions and product design to currency switching. Enjoy! The Subscriptio WooCommerce plugin sounds simple enough, but it packs an incredible number of tools into a clean interface. Subscriptio is one of the most popular WooCommerce plugins on CodeCanyon. It doesn’t take long to figure out why, considering you get a full system for selling subscriptions on WooCommerce. I particularly like how the dashboard provides a visualization of each membership, stating when the subscription started, along with other important moments like payments, payment reminders, suspensions and renewal orders. Once someone subscribes, all of the communications and actions happen automatically. Turn both simple and variable products into subscriptions. Set billing cycles and the length in which a subscription lasts. Charge signup fees and feel free to cancel, pause or resume subscriptions at any time. The WooCommerce plugin supports recurring charges for memberships. Both customers and admins can open up subscription lists and manage subscriptions. The plugin only supports Stripe and PayPal. This probably isn’t a huge deal for most, but it’d be nice to see some other payment gateways. There are tons of features in the Subscriptio plugin, potentially turning off beginners who might feel overwhelmed. We’ve all seen this functionality at work, but how do you go about getting it onto your WooCommerce site? The solution is the WooCommerce Extra Product Options plugin. Let’s say you sell computers. You want to have customers decide which type of operating system or software they would like included with their computer. The plugin opens up all sorts of custom product options, meaning you’re not limited to defaults. The conditional logic brings up certain product options depending on previous choices. The plugin comes with a form builder, expediting the process quite a bit. The price fields and product options can be implemented globally or per product. Show prices for each product option. Choose from radio buttons, checkboxes, upload buttons, date ranges and more. The user interface is far from beginner friendly. Most styling must be done with custom coding. You don’t get a free version to test out the product. I feel like it’s almost required to buy the WooCommerce Amazon Affiliates if you have any affiliate products in your online store. The standard practice of finding the best products on Amazon becomes quickly tedious. 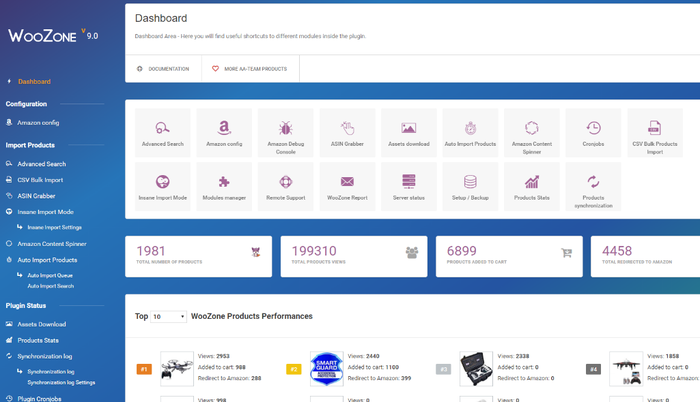 Therefore, the WooCommerce Amazon Affiliates plugin gives you a more streamlined dashboard. You can import products from Amazon much faster than you typically would. Only available products show up for customers (it looks into availability based on location as well). The plugin taps into the Amazon CDN for faster image and product information loading. View and search products, then instantly place them into your store. Some solid reports are included as well. The dashboard is completely different-looking from WordPress. It’ll take some time to get used to. They have a content spinner which is bound to get people in trouble from Google. The WooCommerce Currency Switcher is all about expanding the reach of your online store. When someone comes to your shop they can switch the currency to see prices in their own country’s currency. So, if I’m searching an American site while sitting in Germany, I could decide to change all of the prices to the Euro. The plugin has shortcodes for adding the feature anywhere on your site. 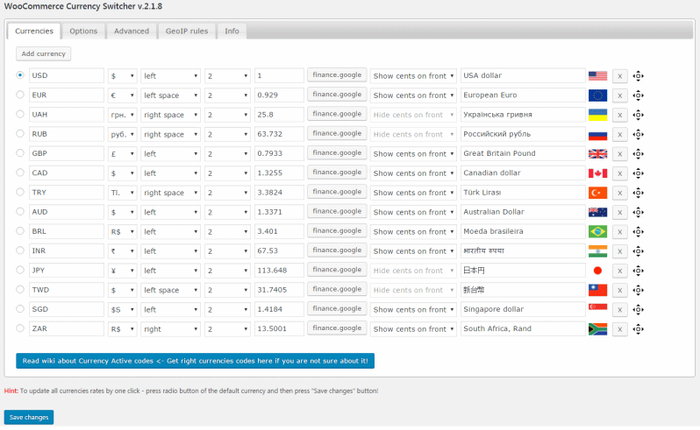 A few widgets are included for currency switching and converting. You have the option to automatically switch the user’s currency based on IP address. The plugin is compatible with the WooCommerce Subscriptions extension. I’ve noticed some reports that the plugin could slow down your site. However I’d assume this is due to a conflict with another plugin or theme. The only gateways supported include Stripe and PayPal. Whether you’d like customers to design their own mugs or t-shirts, the Fancy Product Designer plugin is by far the best option for allowing that to happen. There’s no reason to get a custom coder, since you only need to embed this on your website and choose the types of products being offered. The designer supports saving, downloading, printing and previewing. 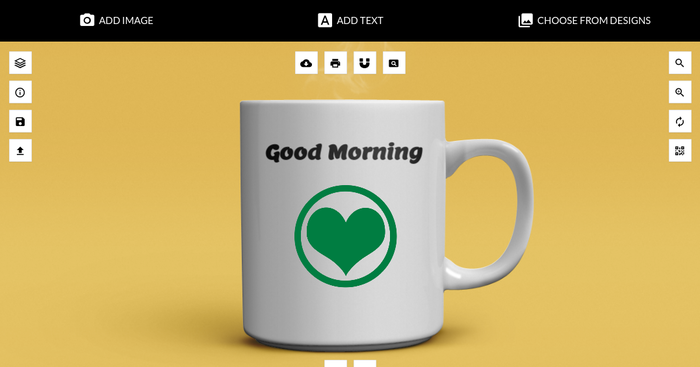 Users can design anything from shoes to shirts and calendars to wine labels. There’s technically no limit to the products being sold. So you could make a product that isn’t in there by default. The designer supports many media uploads, multiple colors, fancy texts and beautiful image transformations. There’s no reason for you to get this plugin if you don’t offer custom designs. As with many custom product designers, the module doesn’t load that fast and sometimes the design tools are finicky. 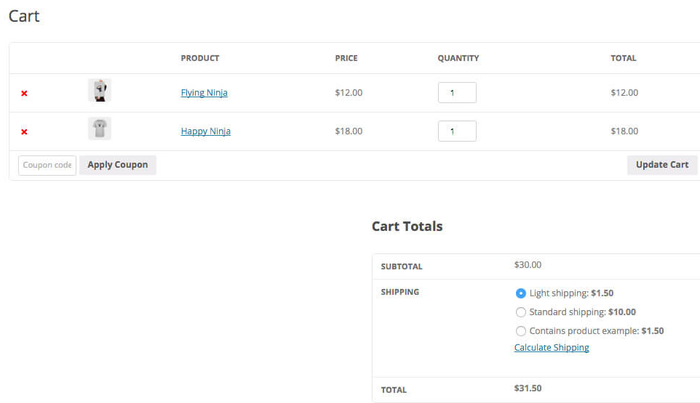 Many WooCommerce themes already offer this functionality, but the WooCommerce Menu Cart plugin is still a valuable tool for those converting regular WordPress themes into full online stores. A shopping cart icon is automatically displayed in your menu bar. Several icons are provided, along with custom CSS for designing your own. A shortcode is given to place the cart icon anywhere on your website. You won’t need this if your theme already has it. The free version gets the job done but the customization options are abysmal compared to the pro solution. Have you ever wanted to make edits to hundreds of thousands of products at one time? That’s what the WooCommerce Advanced Bulk Edit plugin does for you. The plugin offers searchable, editable and filterable fields, all of which come in handy for quick edits. Filtering can be done with anything from SKUs to attributes and titles to stock quantities. Change pricing by value or percent. Adjust or replace text fields by bulk. Generate product variations to multiple products. The spreadsheet style editing looks intimidating for the average user. Here’s one of our favorite WooCommerce plugins because of its simplicity and ability to boost your revenues. The plugin handles bookings for companies and individuals like car mechanics, event managers, doctors, lawyers and more. It handles both time and date-based bookings. The plugin works for rentals as well. Manage each of your bookings on the backend. The custom cost per booking feature is a nice touch, but it seems too confusing. You can’t do recurring bookings. Customers can’t modify their bookings without contacting the admin. The WooCommerce Direct Checkout plugin provides both free and premium versions. The main difference is that the premium version lets you add per product settings, whereas the free version is more about adding the direct buy button to your entire site. This works somewhat similar to the one-click checkout button on Amazon, except the user is required to actually go through the checkout. I like the Direct Checkout plugin for one primary reason: It boosts conversions by cutting out some of the annoying steps of adding products to a cart first. The direct checkout button can be disabled for some products. You can have a Continue Shopping button on product pages, just in case people don’t want to checkout immediately. 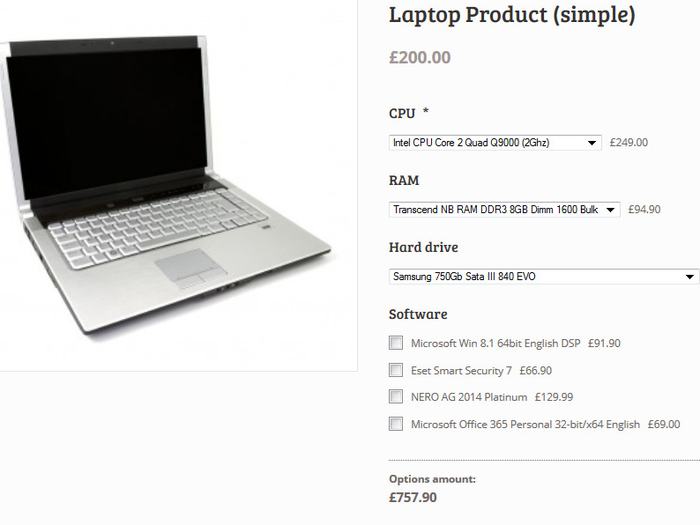 The main functionality is that it skips over the shopping cart page, taking out one full step. You can instantly add a redirect to any product page. Sometimes your theme already provides this functionality. So I recommend checking on that before committing to this plugin. The paid version only adds a few features, but they are pretty powerful. Therefore, it’s hard to recommend the free version at all. Only two translations are available. 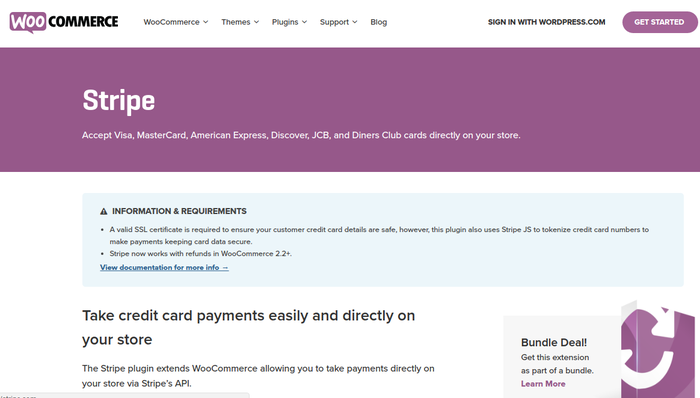 WooCommerce supports dozens of payment gateways, but Stripe is unique in that it provides its very own WooCommerce plugin. This makes it far easier to manage on the backend, as opposed to working with multiple dashboards and trying to figure out what information you need to pull from the gateway and place in WordPress. Although the transaction fees are the same as PayPal, Stripe has managed to keep other fees lower, such as chargebacks, refunds, international cards and American Express charges. Stripe supports payments from over 25 countries. It lets you to accept Visa, MasterCard, American Express, Discover, JCB, Diners Club cards and even Bitcoin. 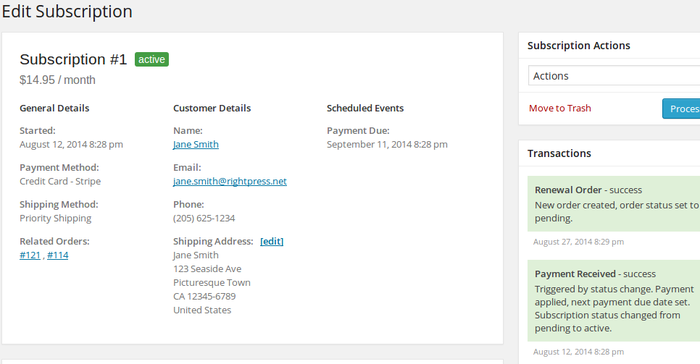 The plugin combines with the WooCommerce Subscriptions extension for recurring payments. PayPal generally pays you faster than Stripe. Although you’ll save money in the long-run with Stripe, linking this plugin involves more time than just hooking up your PayPal account. Several advanced shipping plugins are available online, but none of them have the power like WooCommerce Advanced Shipping. The main benefit of this plugin is how it breaks down shipping into various conditions, so if you’d like to charge based on weight or zipcode, go for it. Create as many shipping conditions as you want for a product. The conditions are not preset, so you can customize them however you want. Ship based on volume, locations, weight, size, stock and many more options. The plugin offers conditional logic which is surprisingly easy to setup. The pricing is just right. With such a powerful plugin like WooCommerce comes an onslaught of extensions. It may seem intimidating when trying to figure out all the tools you need to make the perfect online store, but I encourage you to start with this list of the best WooCommerce plugins, then narrow down your search from there. You may also want to see our in-depth comparison of 7 of the best WooCommerce Themes. Let us know in the comments if you have any experience with these WooCommerce plugins, and feel free to share any questions you may have.